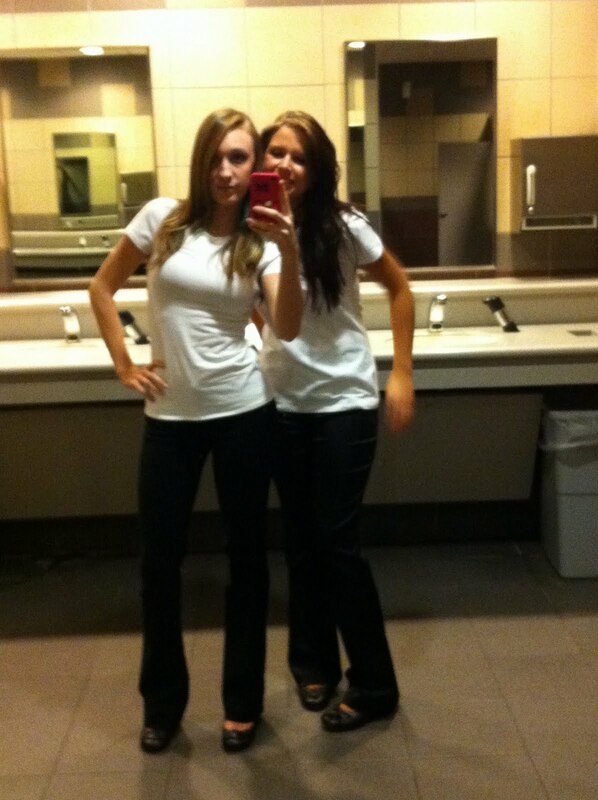 Our daily uniform of black pants and a t-shirt. You don't really need to know where these are from, I'm sure. My classmate Kari, who is our national voting delegate, my instructor, Mrs. Castleberry, and us at the banquet. I dressed up for the opening banquet. I figured, why not? Our fantasy makeup we called "Jester in Wonderland"
We used Makeup For Ever products, and they are AMAZING.